Cecil Whiteside is one of Sligo's best-known retailers and largest employers, operating a Centra store in Collooney and a SuperValu outlet in nearby Ballisodare. He is a generous supporter of the local GAA scene, something that is reflected in his sponsorship of the Owenmore Gaels club in Collooney. 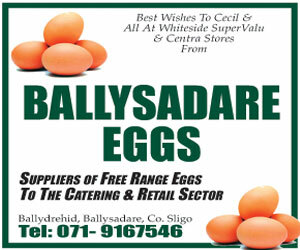 SuperValu and Centra's continued sponsorship of the GAA All-Ireland Football and Hurling Championships has only served to strengthen the ties between Whiteside's of Ballisodare and Cecil Whiteside Centra with the Association. Through these sponsorships, SuperValu, Centra and the GAA bring together in true partnership three of the country's most community-focused organisations. Cecil's two stores and the GAA share common values through focusing their approach on relationships, honesty, hard work, achievement and community identity. "SuperValu and Centra have always prided themselves on giving something back to the community and both are closer to the local people than other franchises," Cecil points out. "That is why this partnership with the GAA is so apt. The GAA is a natural fit with our brands. We have a long and distinguished history of being at the heart of building thriving and vibrant local communities in all the locations in which we operate." He continues: "The sponsorship is very beneficial to both sides. It's good PR, good marketing and I believe the latest TV ads featuring Bernard Brogan has boosted it even more." As part of their sponsorship, SuperValu and Centra have partnered with the GAA and Tickets.ie to become official GAA ticket agents. No ticket fees apply for any tickets purchased via SuperValu or Centra stores. So the next time you are looking for tickets for the big football or hurling championship fixtures, make sure to call into Whiteside's of Ballisodare, Cecil Whiteside Centra or any of SuperValu or Centra's stores across the country. 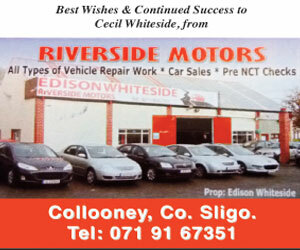 For the past number of years, Cecil Whiteside Centra has been the main sponsor to Owenmore Gaels in Collooney. It's Cecil's local GAA club and his son Cian and daughter Aoife are players with the U16 boys' and U14 girls' football teams. Cian is also a member of the Sligo U16 panel which is co-managed by former county star Sean Davey, and took part in the Ted Webb and Fr Manning Cup competitions this summer, beating Offaly in the final of the latter. Cecil, who is married to Patricia, employs in the region of 100 staff between the two stores, including former Sligo and Connacht hurler Keith Raymond. 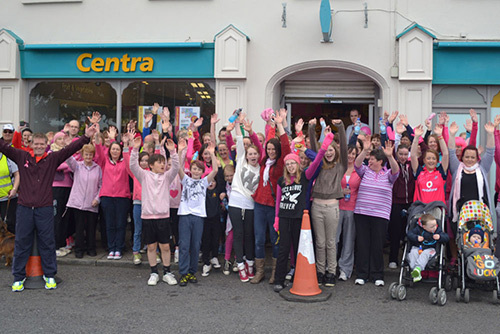 The store in Collooney had been in business for 20 years before coming under the Centra umbrella in 2005. 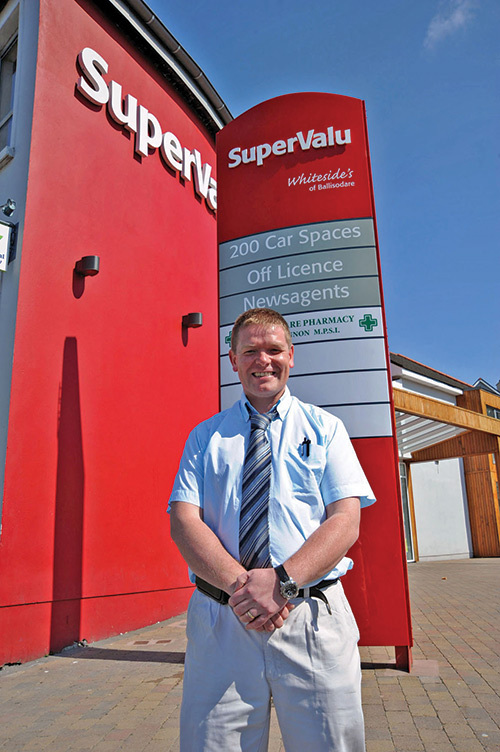 In 2008, Cecil opened the SuperValu outlet in Ballisodare, which is just three miles from Collooney. This impressive 14,000 sq ft store underwent a major revamp last year, meaning even more choice and quality for customers. 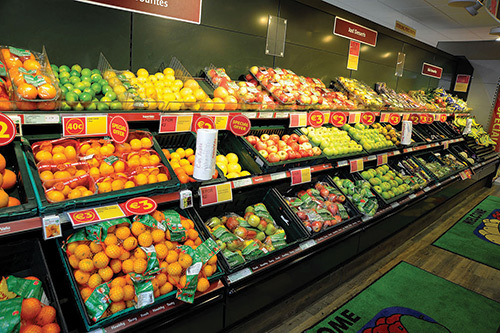 Open from early 'til late seven days a week, both stores pride themselves on their fresh produce, unrivalled service and commitment to local jobs. Their mission is to provide their customers with the best quality and prices as well as an enjoyable shopping experience. 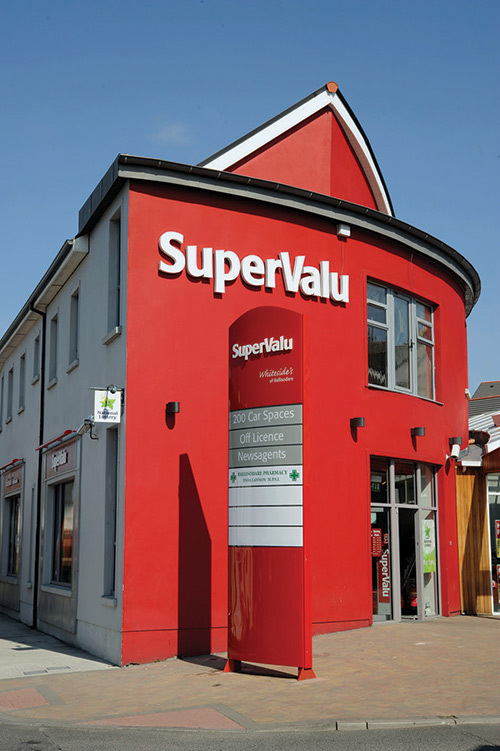 Unlike many other supermarket and convenience store chains which operate in this country, SuperValu and Centra are Irish-owned and enjoy an excellent relationship with their customers. At Whiteside's, they are on first-name terms with many of their customers. In 2012, Whiteside's SuperValu rolled out online shopping. All online shopping over Eu150 is free to deliver and all online pick-up services are free for shopping over Eu75.